The wind scraping the dried leaves on the tree sounded like potato chips being crushed together, but Mikey didn’t hear it. Curious six–year-olds aren’t easily distracted. He lay on his back in the yellowing grass under the old oak in his parents’ back yard, oblivious to the growing chill in the air. The lady bug sitting on the tip of his right thumb absorbed his attention. It had landed there a few minutes earlier. The two creatures stared at each other, unblinking and unmoving, suspended in time. Who’s gonna win the contest? I bet you blink before me. Mikey didn’t know that insects have no eyelids. The cold wind swept his open eyes and he blinked. Okay, you won that one. What’s you name? The boy carefully counted its spots and the number of its legs. I’ll call you Dotty for the polka dots on your body. I’m Mikey. Can we be friends? My best friend Ben is in the hospital. I can’t visit him because Mom says I could catch what he has. I hope he gets better soon. I’m lonesome without him. He’s the only one who understands me. The insect raised its antennae. Are those your ears? I’m not talking out loud. I never do. Can you hear me anyway? The lady bug rubbed its two front legs together. Does that mean yes? Oh boy! Did Ben send you here to keep me company? That’s why he’s my best friend. He knows when I need company. Daddy and Mommy are fighting again. They yell at each other because I’m autistic. I don’t think I’m bad. Do you, Dotty? You like me, don’t you? Fluttering wings lifted the insect into the air for a moment before it settled back onto his thumb. Mikey held his breath and carefully moved his left thumb next to his right one. The insect crossed the bridge, inching up his left thumb. It tickled but he didn’t move. You’re not scared of me like the kids on my block. They run away whenever they see me, like I’m gonna hurt them or something. Jake, the tall one, always teases me. He dares me to talk. He calls me dummy. He doesn’t think I can understand him, but I do. The unbidden tear erupted from his right eye, cascaded down his lush brown eyelashes then dropped onto his cheek where it slowly made its way to his lip. His tongue scooped the salty droplet onto his tongue. I’m not a dummy. I’m smart. I can count to one hundred and I know my colors. I understand what everyone says, but they don’t understand me. Except Ben. The ladybug reached his wrist then proceeded up his forearm, crossing the cuff of his blue flannel shirt. Mikey observed how its six legs coordinated with each other to propel it forward. Details like that fascinated him. He could watch things for hours, although his mother frequently interrupted him, breaking his concentration, like now. “Mikey!” His mother’s voice lanced his eardrums. Why does she have to yell? There’s nothing wrong with my hearing. 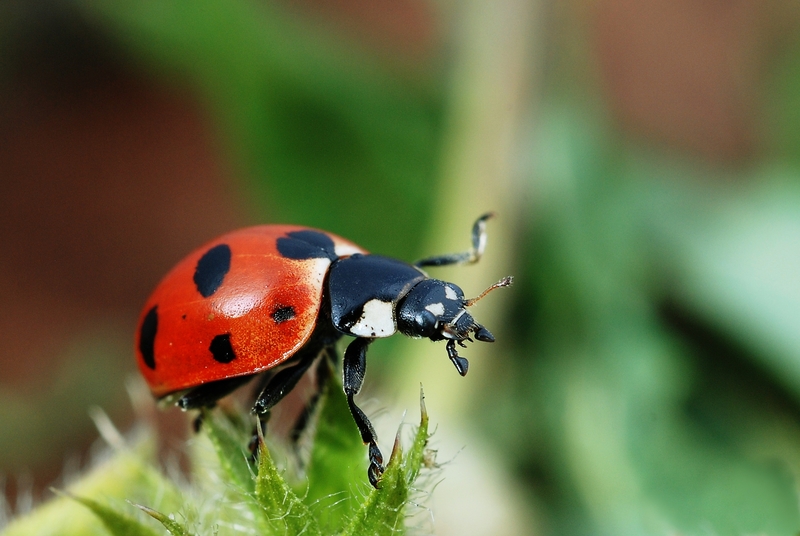 He continued studying the ladybug’s progress as she neared his elbow. “Mikey get in here.” She pointed to the floor at her feet. “Now. It’s too cold and dark outside.” He couldn’t know that his mother’s weariness and disappointment made her holler. He was unaware of how much their lack of communication frustrated her. She tramped toward him, leaving icy footprints of her slippers on the lawn, in her wake. His voice erupted into high pitched squeaks as she closed in on him, terrified that she would frighten Dotty away. She paused a few feet from him. “Mikey.” Her voice sounded softer, not so angry. “What are you doing? What do you have there?” She pointed to his arm. Dotty had just passed his shoulder and was heading up his neck toward his chin. He couldn’t move anything but his eyes, so he shifted his gaze between the ladybug and his mother’s eyes, desperate for her to understand him. “Oh!” His mother’s face softened. “Look! A ladybug!” She kept her hands to her sides. Yes, yes! She sees it! His lips split into a smile. He wasn’t aware, so it surprised him to see tears well up in his mother’s eyes. “Oh, Mikey! I haven’t seen that smile for so long. Maybe there is hope! You’re in there somewhere and I will help you find your way out, so help me I will!” She carefully scooped up the ladybug and Mikey followed her inside where his father sat at the kitchen table reading the newspaper. “Find me a big jar and the flyswatter,” she said. “Why?” His father’s eyes didn’t move from the page. He never says hello to me. I know he sees me, but I don’t seem to matter to him. “What does he need that for?” His father sounded annoyed, as usual. “Because he likes it, Jerry.” She unloaded the bug, taped the flyswatter over it and handed the jar to her son. He’s never called me son before. And his voice is soft. Does that mean he loves me? Mikey’s lips parted again and he found himself scooped up into his father’s arms in a crushing hug, ladybug, jar and all. “Welcome back, Mikey.” His father’s warm breath tickled, and he smiled again. Judy Salz, a semi-retired physician, draws on her years of medical practice and patient encounters for inspiration. This short story is her first published piece, while a full length novel is currently being edited and will be published later this year. A native New Yorker, Judy now lives in Las Vegas enjoying the sunshine and lack of slush; the only thing missing is the beach. Congrats Judy on winning first place in the fiction category. Great story.